The U.S.-Mexico border is a brutal, two-thousand-mile stretch, forbidding in its arid climate and its varied but austere landscape. It demarcates two disparate economies and ways of life, and it is the site of immense trade and exchange between them. Following Donald Trump’s call for a wall along the U.S.-Mexico border, intense controversies have flared over issues surrounding immigration. But another border issue has received comparatively less attention—the drug trade. The U.S.-Mexico border is also a gateway through which drugs, weapons, cartel operatives, and a variety of desperate people pass—one of the most pivotal drug trafficking points in the world. These deaths are ultimately facilitated by a squalid and violent network that stretches back across the southern border: 80–95 percent of U.S. street drugs are coming through Mexico. The State Department has recently tabulated that 90–94 percent of the heroin in the United States comes from Mexico, even if originally sourced from other countries.11 A recent DEA Report similarly indicates that the vast majority of the skyrocketing supply has been coming in over the land border.12 Nor is most of the methamphetamine synthesized by high school chemistry teachers in the United States, as Breaking Bad depicted. Rather, 80 percent of crystal meth is from Mexico. For cocaine, 90 percent comes from Mexico. The growth in U.S. demand has been far outstripped by the growth in easy supply. The respective prices of cocaine and heroin have dropped precipitously in recent decades, as the cartels have an unprecedented level of control, efficiency, and geographic spread.13 The Centers for Disease Control (CDC) notes that supply and price dynamics have heavily driven the heroin explosion: “The increased availability of heroin, its relatively low price (compared to prescription opioids), and high purity appear to be major drivers of the upward trend in heroin use, overdoses, and deaths.”14 The CDC report underscores a broader, crucial point and reinforces other research on the topic: accessibility, in terms of both physical proximity and affordable pricing, is an essential component of the expanding drug epidemic. In spite of this research, a libertarian and liberal-left alliance on drug legalization has gathered popular sympathy, particularly after simplified or skewed messages from Portugal’s 2001 experiment with drug decriminalization began to spread.15 The example of Portugal is often cited to show that nothing terrible will transpire if society legalizes drugs, and that legalization could even create impressive economic and social benefits. Vital details are typically omitted from this narrative, however, including the fact that Portugal’s policy shift was limited to the status of users themselves. Bringing any commercial quantity of drugs into Portugal is still criminal, and so is selling within the country. Portuguese policymakers were not naïve about the ravages that a flood of new supply would bring. Nevertheless, drug use still did increase significantly. Although the libertarians at Cato may care little about the additional societal damage likely to result from the full legalization of all drugs, many others have been trying to examine whether they can curtail or prevent these problems—“harm reduction” writ large. But harm reduction incurs real costs. Even without legalization, the cost of treatment is ballooning in magnitude, projected to increase from $24 billion in 2009 to $42 billion in 2020.18 And treatment is no panacea: while the National Treatment Research Outcomes Study in the United Kingdom found that treatment did significantly reduce the frequency of drug use and addressed secondary problems such as criminality, only 38 percent of subjects in this large-scale study abstained from illicit drug use at the end of five years.19 The study still found that treatment was more cost-effective for society, in terms of avoiding crime or prison time, than no treatment at all—a result in line with Portugal’s experience. Whether due to treatment expenses or crime’s drain on society, however, addressing the results of drug use is an onerous and costly task for any country. Furthermore, the descent into addiction is not a path that can be escaped merely with some amalgam of education, medical treatment, and coaxing therapy. Recidivism rates indicate that a large share of people will never shake the scourge, with 40 to 60 percent of people who have received treatment for alcohol or drug abuse relapsing within a year.20 Treatment methodology based around the standard twelve-step program, while broadly adopted throughout the country, is particularly poor at achieving lasting freedom from addiction. Pharmaceutical responses such as methadone dosing for heroin addicts can reduce a host of adverse effects on society and the individual, but can also require long-term methadone usage (at a cost of thousands of dollars a year) and result in only partial relinquishment of other illicit opioid use. A 2006 study from Scotland posted thoroughly discouraging results: only 29 percent of those who had undertaken rehab were able to maintain a ninety-day drug-free period in the approximately three-year longitudinal study, and only 3 percent of those who had undertaken a methadone program could claim the same.21 Residential rehab might be more cost-effective than prison (e.g., £700 for the former versus £800 for the latter22), and methadone may be more cost-effective than an old-school twelve-step intervention, but the basic reality remains that drug abuse is not easily escaped. Those in its grip face hefty medical, financial, and emotional burdens themselves while imposing significant costs on those around them and society at large. In the grandest reckoning, the damages wrought to brain structure, cognition, emotional perception, attention span, behavior, and interpersonal relationships are far from fully understood, but all too often severe. Perhaps an awareness of these dire potential consequences prompted the Portuguese to make their shift to decriminalization more subtle and less radical than is often presented in the triumphalist narratives appearing in eminent publications in the United States and United Kingdom.23 The Portuguese Decriminalization Act of 2001 was largely “an elaboration rather than a reversal of the 1993 law that it modified.” The former law already focused primarily on promoting treatment for drug users and in practice rarely (less than 1 percent of drug-related convictions) led to prison time for users. The emphasis on Portugal also neglects the lessons of other countries, including Mexico itself, which in 2009 decriminalized the possession of small amounts of cocaine, heroin, marijuana, and other common drugs.24 From 2008 to 2016, the proportion of Mexicans aged twelve to sixty-five who reported using illegal drugs surged from 5.2 percent to 9.9 percent. For legalization advocates, these numbers are inconvenient at best. The Washington Post author reporting on these statistics acknowledges an underlying reality of the drug trade—that greater supply can unleash greater consumption and even greater demand itself (“Mexico’s growing consumption is in part driven by a vast supply”), while awareness and education efforts initiated by the government have failed to reverse the trend. No country has come remotely close to realizing the pipe dream of libertarian ideologues: full legalization of hard drugs. The United Nations Single Convention on Narcotic Drugs, drafted in 1961, has been accepted by over 150 countries, and is accordingly viewed as a major impediment to legalization, although marijuana legalization efforts in recent years have evinced a bold willingness in some developed nations to defy the UN.25 More pressing, however, is the fear of dire consequences arising from such an experiment. Perhaps more pragmatic libertarians will pursue a tiered approach, attempting first to legalize one or two relatively benign drugs (the key word is “relatively”) such as cocaine, which veers more towards high-income users and has less extreme manifestations than meth or LSD. Such an experiment would provide more data about how much legalization enables greater drug use, especially first-time use. It is unlikely (though not impossible) that this experiment would first transpire in the United States. The other extreme—complete repression of drugs—is even more unrealistic, short of a police state. Even vociferous proponents of drug enforcement generally acknowledge that some significant supply will wind its way into the country and into the hands of users, chiefly addicts. Normal supply and demand dynamics are warped in the case of true addicts, who will often go to extreme lengths to gain the resources needed to acquire and use drugs, and this group remains a fairly stubborn constant in spite of varying drug policies. Drug distributors can go to similarly extreme lengths to bring their product to users. Even in the current regulatory situation, the number of individuals who have risked or lost their lives in the process is a testament to the intractable core of the drug trade. One need not be an advocate of legalization to admit that America’s current “war on drugs” is hardly a glowing success story. Can a Wall Be Effective? To answer this question, it is instructive to look at the current border enforcement apparatus. The border force has stated that over half of the southern border is not under U.S. operational control, and this gap constitutes an open invitation for exploitation. 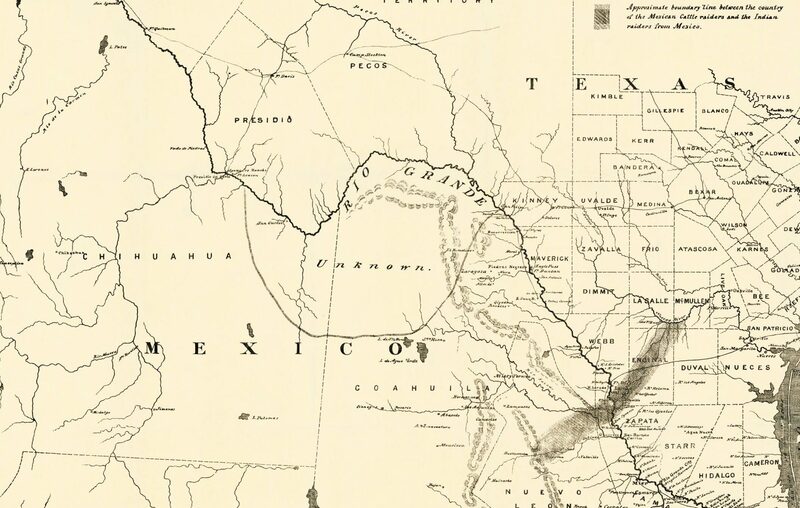 Of the roughly two-thousand-mile border, only 873 miles are deemed to be under U.S. operational control (defined as areas in which the Border Control has the ability to “detect, respond, and interdict illegal activity at the border or after entry”) by the U.S. Government Accountability Office.27 According to the same government source, only 129 of those miles are sufficiently “controlled” to stop people at the border itself, while the other 744 miles would require “multitiered enforcement operations” to track transgressors down and stop them after entry. It should surprise no one that the remaining twelve hundred miles can be even more easily exploited for their acknowledged weakness and that the current border protection force is not able to deploy the requisite “multitiered enforcement operations” in pursuit of every potential drug transporter broaching the aforementioned 744 miles. Some of these areas are naturally in such forbidding territory that a wall is unnecessary and entry is already effectively blocked. Even generous estimates of the extent of the preexisting natural barriers, however, would come nowhere close to two thousand miles. Would a cartel rather take its chances at a heavily monitored seaport or over a vast stretch of land that the U.S. government has officially admitted is vulnerable? The recent shift of supply routes toward Mexico reflects a recognition among drug traffickers that these passageways are the most easily exploitable and the most cost-effective in terms of risk and potential profit. In terms of whether a wall can actually succeed in blocking the transmission of people and narcotics across areas that are otherwise pregnable, recent experiments in Europe and especially in Israel indicate a resounding yes. Israel boasts of the decisive impact of its 420-mile multistage deterrent against the West Bank, including fencing, ditches, and a proper wall.28 Hungary also found unequivocal success with its more straightforward razor-wire fencing, established in 2015 as a defiant response to the European migrant crisis and the EU’s failure to address it meaningfully. Over five hundred kilometers of fencing achieved a drastic reduction in illegal entry, with Viktor Orban’s chief security advisor citing 391,000 attempts in 2015 and only 1,184 in the first nine months of 2017, a 99.6 percent decrease.29 The accuracy of these numbers is difficult to verify, but the general trend is clear. While clichés are often bandied about in popular discourse regarding the futility of wall construction—e.g., “show me a fifty-foot wall and I’ll show you a fifty-one-foot ladder”—in reality, few aspiring border-crossers have the resources to actually scale and surmount a well-built wall. A July 2017 piece in the Harvard International Review, passive-aggressively entitled “Walls of Separation: An Analysis of Three ‘Successful’ Border Walls,” concedes that the construction of major national walls in Israel, Egypt, and Spain coincided with the unambiguous achievement of the policy aims behind the projects, but argues that other factors were at play and that the proposed U.S. border wall is not analogous to these other walls.30 Noting that Israel’s southern border wall has reduced illegal entries from seventeen thousand in 2011 to forty-three in 2013, the author cites climate and restrictions on money transfers as key factors, while claiming that “President Trump has not announced any policies similar to those of Israel that would limit the desirability of immigration to the United States, limiting the effectiveness of the wall.” While President Trump could conceivably add other restrictions (such as taxes on international money transfers; mandating universal E-Verify for employers; and more aggressively prosecuting labor violations), these criticisms apply only to the issue of immigration, not to the other policy objectives for which walls have been built. The author of the Harvard International Review piece does concede success in the cases of Egypt’s wall with Gaza (severely disrupting weapons transfer) and Spain’s barrier with Morocco (reducing Moroccan entry by over 80 percent in the space of a year). Moreover, the article draws attention to a vital aspect of wall construction that is relevant to the Mexican drug trade—underground passageways. The Egyptian barrier “extends an astounding 20 meters underground” and has thwarted hundreds of tunnels. A U.S. wall dedicated to preventing drug transfer would have to address the considerable potential for tunnel construction as well. In fact, Israel is currently in the process of further addressing tunnel incursions, particularly from Gaza, with its own forty-mile underground barrier, while leveraging new advanced technology for tunnel detection.31 Part of the barrier’s potency lies in the air of mystery that Israeli officials intentionally maintain around the specifics of the depth, the exact location, and the nuances of the technology integrated with it—it’s “deep enough,” as one official remarked. Here, as in many border-related matters, signaling is a powerful force: sending a message of impermeability and vigilant enforcement can go a long way toward preventing potential infiltrators from even considering to attempt an increasingly unpredictable and perilous endeavor. The U.S. government appropriated $40 million in 2016 for creating “capabilities to detect, map, and neutralize underground tunnels that threaten the US or Israel,” while preserving rights to “receive prototypes, access to test sites, and the rights to any intellectual property,” according to Defense Department spokesman Christopher Sherwood.32 While little is known about the seismic sensors used to detect underground vibrations related to digging and building, or any other secret innovations funded as part of this project, $40 million in annual appropriations seems a thrifty price for developing a key component of the world’s most advanced border protection capabilities. No tunnel detection technologies will be infallible, as past efforts in the United States have run up against the challenges of varying terrain and signal noise, but the Israeli experiment is a promising chapter in a concerted effort undertaken by two of the most technologically advanced countries in the world. Security and screening would also have to be tightened at the official ports of entry in order for a barrier to be effective. Some critics of wall construction argue that the majority of drugs coming through the southwest border are entering through the fifty-two established ports of entry.35 But these estimates are based on current seizures and interdictions. It is no surprise that more drugs are seized in monitored ports of entry than in areas with a considerably smaller police presence, not to mention areas that are outside the government’s operational control. Even with today’s limited enforcement capacity in these areas, the quantity of drugs seized in the barren stretches between ports of entry is a sizable piece of the total. In 2017, the Border Patrol (responsible for the areas between the ports of entry) seized nearly half a ton of heroin, six tons of cocaine, 860 tons of marijuana, and ten tons of methamphetamine.36 General John Kelly estimated the entire supply of heroin to the United States at forty to fifty tons,37 and the 2016 National Drug Threat Assessment report cited 7.4 tons of heroin seized in total for the year.38 These numbers indicate that a crippling amount of heroin is able to evade capture each year, while also putting into context the half a ton that was captured between the ports of entry. It is a considerable share of total annual seizures, and—recognizing that the Border Patrol will only intercept a fraction of the real flow—suggests a considerable share of the total heroin supply is coming this way. Nevertheless, implementing a border wall would almost certainly increase pressure on legal ports of entry. Indeed, just as supply pathways have broadly shifted to Mexico and the southwest border because of the relative ease of penetration, cartels would likely focus their energy more intensely on official entry points and tunnels if the stretches between the ports of entry were fortified with a wall. The monitoring at the ports of entry is already a considerable daily undertaking, with approximately seven hundred thousand land travelers and three hundred thousand private vehicles entering from either Mexico or Canada (compared to four hundred thousand entries by air or by sea), along with one hundred thousand entries of merchandise that is important for economies on both sides of the border.39 Here, manual inspection, capable canine assistants, and emerging technologies can all play a role in restraining supply, particularly large shipments. All three of these efforts could be expanded. The last of the three may be the most cost-effective, as productive research in this domain could reap exponential benefits. The high success rate for cartels transmitting heroin, fentanyl, and other drugs through the southwest border underscores the point that a coordinated amplification of interception efforts would have to take place in order to meaningfully impact the drug trade. Fentanyl specifically will require more minute attention to detect, and this is both a matter of technology and manpower (and, in some cases, canine power). It is likely necessary to create more entry and exit lanes so that the same flow of legitimate trade and travel is not severely impeded when agents are spending more time examining vehicles and individuals for contraband. Customs and Border Protection estimates its own annual net budget authority at $15.1 billion across all of its functions.41 An expansion of entry processing for the southwest border would probably add a few billion to this number. Robust funding for R&D around monitoring technology could go a long way toward easing the burden on officers—not only in terms of improving scanning technologies, but also in developing data-mining algorithms to guide the most efficient and well-targeted screening procedures. Data analysis can point to which vehicles and individuals are most likely to be transporting drugs and direct the finite number of available CBP agents where their scrutiny would have the greatest potential impact. Superior interdiction resources at the points of entry, however, would only be effective if a mechanism existed to prevent the cartels from shifting their efforts to the desert in between. As it stands, the cartels can focus on the official gates or the intervening areas in proportion to how obstructed they are at any point. Only a unified effort to thwart trafficking across the border is likely to disrupt cartel operations. Danger also radiates in both directions. It may be necessary to apply more scrutiny to people and goods leaving the United States as well. Approximately 70 percent of firearms seized in Mexico between 2009 and 2014 came from the United States (perhaps most memorably in Operation Fast and Furious), and much of the cash from cartel operations is smuggled through or around ports of entry back into Mexico.42 In short, the financing and arming of the cartels relies on a porous American border, and any large-scale effort against the cartels will require securing both sides of it. The U.S. government has devoted significant and growing resources to the complicated and increasingly difficult task of slaying the hydra of drug dealing and abuse within the interior of the country, often with little to show for it. Reallocating resources in order to focus on more effective regulation of who and what are entering the country in the first place may be a better strategy. In addition, more assiduous regulation of the border functionally overlaps with other vital mandates of the federal government. The proper oversight of people or objects entering through the southwest border is a matter of significant consequence for labor, trade, security, health, and even agriculture and the environment. DEA agents often report that arresting local kingpins and users does little to neutralize higher-level cartel figures. A well-fortified border, however, could curtail the supply and impede the infrastructure closer to the major sources of drug traffic. As the 2016 DEA National Drug Threat Assessment summary notes, “In most cases, individuals hired to transport drug shipments within the United States are independent, third-party contractors who may be working for multiple Mexican TCOs [transnational criminal organizations]. . . . Retail-level distribution of illicit drugs in the United States is mainly handled by smaller local drug trafficking groups and gangs not directly affiliated with Mexican TCOs.” In other words, there is a robust and replaceable population of willing pawns to put the drugs directly into the hands of users, and blasting money and law enforcement resources at arresting them will have little effect on the overarching distribution apparatus that is now in place. A wall, however, may disrupt more centralized pathways for the drugs and provide better monitoring against the cartel figures who have been infiltrating the United States. It is clear, as drug legalization proponents argue, that increased spending on drug enforcement alone has not achieved a proportional reduction in consumption and addiction43—although it may have played a decisive role in pushing the rate of drug use from nearly 20 percent of the population in the late 1970s to close to 5 percent in the 1990s. In 2012, it is estimated that the U.S. Federal Drug Control Budget was approximately $25 billion.44 In that same year, the DEA made thirty thousand federal drug arrests, while state and local authorities arrested 1.3 million individuals for drug-related crimes. Usage rates have been inching upwards since the 1990s, and it is true as well that prescription opioids have catalyzed a demand surge for heroin and some other illicit drugs. In light of all these trends, it is worth considering how local dealers are treated from a legal perspective, and how users are treated with respect to the law, public health expenditures, and proactive education. Critics of current policies have also pointed out significant disparities in the policing and prosecution of drug-related offenses. The Portuguese experiment may hold some lessons here, and “drugs” are of course not a monolithically pernicious entity but a spectrum of risky substances ranging from relatively subtle agents such as marijuana all the way to immediately life-altering ones such as heroin and methamphetamine. None of the above, however, answers the question of how to address the entry points—throw open the front door, keep it locked, or buy a state-of-the-art fence with a technologically advanced security system? The cost of building a wall is moderate compared to annual enforcement expenditures, and smaller still when compared to the estimated drain on society from drug abuse. It is hard to say with certitude that the wall would cripple the drug trade, but it is at once an audacious and fairly pragmatic proposition to address a scourge that has spun out of control. Debates surrounding immigration or the legal and medical responses to drug abuse in the United States should not obscure the reality that supply matters in the drug epidemic. And the government has some powerful levers available to disrupt cartels’ business models and address these problems at the border. Putting hard drugs further out of reach of vulnerable populations here in the United States and keeping the cartels in check are both humanitarian aims. Legislators should ask themselves if they prefer to leave hundreds of miles along one of the world’s major drug-trafficking passageways so open to exploitation. And they should ask whether it might be more cost-effective to stop criminals at the border rather than trying to address the damage done in the interior of the country. 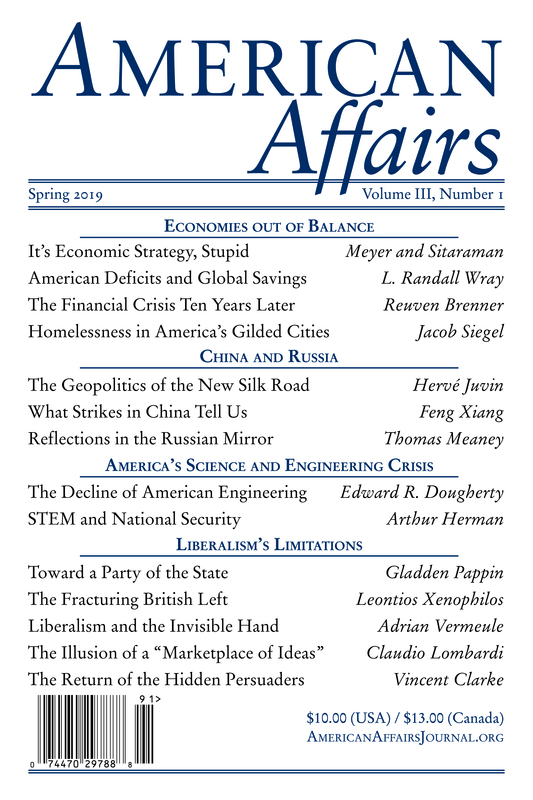 This article originally appeared in American Affairs Volume II, Number 4 (Winter 2018): 40–54. 1 Fatal Journeys: Tracking Lives Lost during Migration, ed. Brian Tara and Frank Laczko (Geneva: International Organization for Migration, 2014). 2 Jason M. Breslow, “The Staggering Death Toll of Mexico’s Drug War,” Frontline, July 27, 2015. 3 Sara A. Carter, “100,000 Foot Soldiers in Mexican Cartels: Numbers Rival Mexican Army,” Washington Times, March 3, 2009. 5 Central Intelligence Agency, The World Factbook 2018 (Washington, D.C.: CIA, 2018). 6 “Murder Rate by Country,” WorldAtlas, Sept. 28, 2016. 7 “Drug Overdose Deaths Hit Record Numbers in 2014,” Centers for Disease Control and Prevention, Dec. 18, 2015. 8 “Heroin,” National Institute on Drug Abuse. 9 Jen Christensen and Sergio Hernandez, “This Is America on Drugs: A Visual Guide,” CNN, June 23, 2017. 10 “Overdose Death Rates,” National Institute on Drug Abuse, Aug. 9, 2018. 11 Joel Gehrke, “State Department: At Least 90 Percent of Heroin Destined for the U.S. Comes from Mexico,” Washington Examiner, March 2, 2017. 12 U.S. Department of Justice Drug Enforcement Administration, 2016 National Drug Threat Assessment Summary (DEA-DCT-DIR-001-17), Nov. 2016. 13 Christopher Woody, “Here’s What’s Driven Changes in Cocaine Prices on US Streets Since the 1980s,” Business Insider, Oct. 26, 2016; “Heroin Prices,” Economist, June 25, 2009. 14 Centers for Disease Control and Prevention, “Drug Overdose Deaths Hit Record Numbers in 2014,” Dec. 18, 2015. 15 Hannah Laqueur, “Uses and Abuses of Drug Decriminalization in Portugal,” Law and Social Inquiry 40, no. 3 (Summer 2015): 746–81. 16 Jeffrey A. Miron and Katherine Waldock, “The Budgetary Impact of Ending Drug Prohibition,” Cato Institute, Sept. 27, 2010. 17 U.S. Department of Justice National Drug Intelligence Center, The Economic Impact of Illicit Drug Use on American Society, April 2011. 18 Christina Andrews, et al., “Despite Resources from the ACA, Most States Do Little to Help Addiction Treatment Programs Implement Health Care Reform,” Health Affairs 34, no.5 (May 2015): 828–35. 19 Michael Gossop, “The National Treatment Research Outcomes Study (ntors) and Its Influence on Addiction Treatment Policy in the United Kingdom,” Addiction 110, S2 (July 2015): 50–53. 20 A. Thomas McLellan, et al., “Drug Dependence, a Chronic Medical Illness: Implications for Treatment, Insurance, and Outcomes Evaluation,” Journal of the American Medical Association 284, no. 13 (October 4, 2000): 1689–95. 21 Neil McKeganey, et al., “Abstinence and Drug Abuse Treatment: Results from the Drug Outcome Research in Scotland Study,” Drugs: Education, Prevention and Policy 13, no. 6 (July 2009): 537–50. 22 Elizabeth Day, “Is This the Answer?,” Guardian, Nov. 15, 2008. 24 Associated Press, “Mexico Legalizes Drug Possession,” Aug. 21, 2009. 25 United Nations, Single Convention on Narcotic Drugs, March 30, 1961. 26 Julia Edwards Ainsley, “Trump Border ‘Wall’ to Cost $21.6 Billion, Take 3.5 Years to Build: Internal Report,” Reuters, Feb. 9, 2017. 27 United States Government Accountability Office, Border Security: Preliminary Observations on Border Control Measures for the Southwest Border, (Washington, D.C.: Feb. 15, 2011). 28 “Q&A: What Is the West Bank Barrier?,” BBC News, Sept. 15, 2005. 29 “Hungary Credits Razor Wire Border Fence for Almost 100 Percent Drop in Illegal Migration,” RT International, Sept. 18, 2017. 30 Esteban Flores, “Walls of Separation: An Analysis of Three ‘Successful’ Border Walls,” Harvard International Review, July 27, 2017. 31 Judah Ari Gross, “In the Sand around Gaza, Israel and Hamas Dig in a Literal Race to the Bottom,” Times of Israel, Jan. 18, 2018. 32 Yardena Schwartz, “Israel Is Building a Secret Tunnel-Destroying Weapon,” Foreign Policy, March 10, 2016. 33 Jean Guerrero, “US-Mexico Drug Tunnels Evolving Amid Increased Border Security,” KPBS, June 21, 2017. 34 U.S. Department of Justice Drug Enforcement Administration. 35 Vanda Felbab-Brown, “The Wall: The Real Costs of a Barrier between the United States and Mexico,” Brookings Institution, Sept. 15, 2017. 36 United States Border Patrol, “Sector Profile—Fiscal Year 2017,” Dec. 2017. 37 Adm. William E. Gortney and Gen. John F. Kelly, “Hearing to Receive Testimony on U.S. Northern Command and U.S. Southern Command in Review of the Defense Authorization Request for Fiscal Year 2016 and The Future Years Defense Program” (Washington: U.S. Senate Committee on Armed Services, 2015), 33–34. 38 U.S. Department of Justice Drug Enforcement Administration, 44. 39 United States Customs and Border Protection, “Snapshot: A Summary of CBP Facts and Figures,” March 2018. 40 Scott Stewart, “The Chinese Connection to the Flood of Mexican Fentanyl,” Stratfor, Nov. 9, 2017. 43 Bryan Le, “US Spending Isn’t Winning the War on Drugs,” The Fix, Oct. 25, 2012. 44 Lisa N. Sacco, “Drug Enforcement in the United States: History, Policy, and Trends,” Congressional Research Service, Oct. 2, 2014. Jake Kiernan is a writer living in California.